The Sony a7000: What Is Sony Going to Deliver? Video of The Sony A7000| 7 needs it needs to have! With the announcement slated to be before the end of February, excitement regarding the forthcoming a7000 is starting to mount. In this short video, photographer Manny Ortiz breaks down what he hopes to see in Sony’s latest APS-C offering. One of the most important factors for Manny is the flip-out screen. I sometimes wonder how much this much-discussed feature is a necessity or whether we’re a little skewed in our perception because so many vloggers talk about how much they want it. Maybe the rest of us “normal” people manage just fine without broadcasting ourselves on YouTube, and therefore, it’s not actually that important. Sure, it’s great if you vlog, but what percentage of the people buying this camera are vloggers? With that said, vloggers have a huge amount of influence when it comes to selling cameras, so if Sony keeps the vloggers happy, it increases the chances of getting reviews that are positive. What are your thoughts? 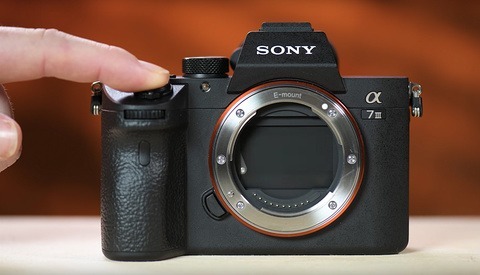 The a7-style body seems likely and I’m wondering if the a7000 and the a7S III are going to share a format that incorporates the flip-out screen. The a6500 always felt a bit fiddly in the hand, and there are some other major advantages that this larger size will bring. Firstly, the bigger body will almost certainly mean a better battery — specifically, the NP-FZ100. And if a bigger body means a better battery, you can bet that there will then be space for two card slots. For me, all of these three things tie together. Be sure to let us know your expectations in the comments. Andy Day is a British photographer and writer living in France. He began photographing parkour in 2003 and has been doing weird things in the city and elsewhere ever since. He's addicted to climbing and owns a fairly useless dog. He has an MA in Sociology & Photography which often makes him ponder what all of this really means. What Is Sony Planning for 2019? I'm just gonna throw it out there that a bunch of that stuff will be in the new camera. He can almost guarantee he has used the camera already and Sony has given him permission to post the video. Basically start getting some hype. This will be the 4th A6000 or crop mirrorless camera body released in 5 years by Sony. Sony knows how to create buyers remorse. Whatever they do, I hope they finally develop a decent implementation of touch AF (tap rear screen while looking through the viewfinder to position AF point). Nobody seems to like it on the a7III or a7RIII. Very sorry to disappoint you, but I use it almost exclusively when I need to place the focus point in a specific spot. What people don't get is that unlike phones (and canon's implementation), the focus is acquired only when you half press the button (or press the focus button), not when you tap. The tap is just to select the point you want to use to focus. Once you get past that hurdle, you'll see that it actually makes it easier to compose, since you can "chase" the dog's eye with the focus point when he's moving, instead of expecting it to tap and focus while moving. I used to own a canon and, while it was cool when shooting landscapes and stationary objects, I now think this implementation actually helps you get better shots. Canon did not have this feature on any of my DSLRs, the last of which was a 1Ds MkIII. 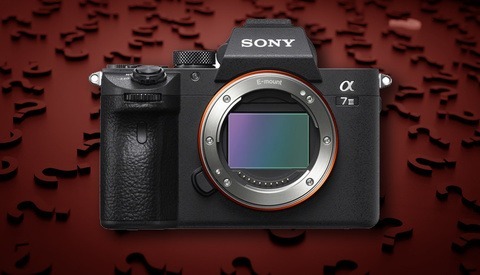 I think you missed my point, which is that touch-selection of AF points on Sony's a7III and a7RIII is reportedly slow and unreliable. On my Panasonics it works great. One thing is for sure: they will give something and they will take something away. After seeing what they did with both the a6500 and the A7III, I think you are nowhere near right. I own the a6300 and while I am quite happy with the results, the ergonomics of the camera are endlessly frustrating. Espcially in cold weather the 4 way controller is very hard to use. I stuck some button enhancers on and since then it works a bit better. I doubt it will cost as much as a Z6. This should be a less expensive camera. Otherwise I would agree, but even so it may have features not found on the Z. We'll have to wait and see. Also, there are many people who've invested in lenses and what not for the APS-C Sony system, this would be a logical upgrade path for them. after a firmware update its going to support the one thing i was missing and thats Eye AF. 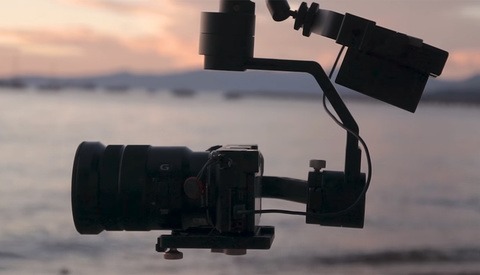 for the rest it has way better video options than the sony A7 series. ofcourse you cant really compare a sony crop against a Z series fullframe but for the difference in price i would go for the Nikon. but thats me, i cant look into someone Elses wallet. oh and i did look at the A6500 in the past, than the Z came out. Did you miss the 4K 60fps part? it's really not just vloggers, i use it all the time for low down shots or shots where it's much easier to tilt and flip the screen rather than to get into an awkward position just to see the back of it.